A more reliable one shot kill is something every deer hunter is searching for. 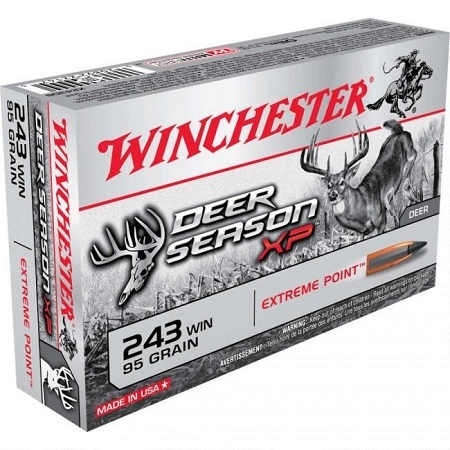 Winchester has developed the Deer Season XP bullet in order to give a hunter a slight edge in making sure that the first shot is a clean kill. 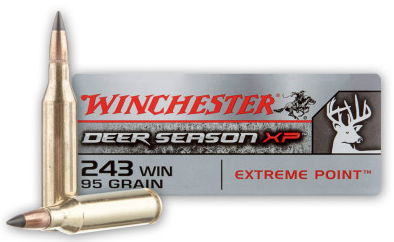 This loading propels a 95 Grain Winchester Deer Season XP bullet to a blistering 3100 fps when measured at the muzzle. 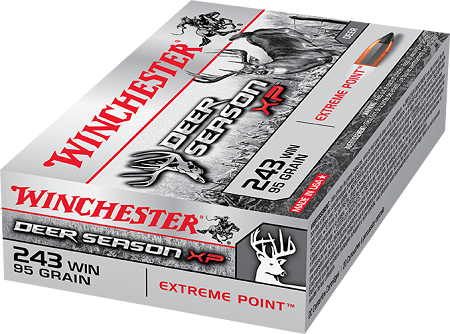 The Deer Season line from Winchester offers reliably performing ammunition that will be ready for the shot whenever you are. 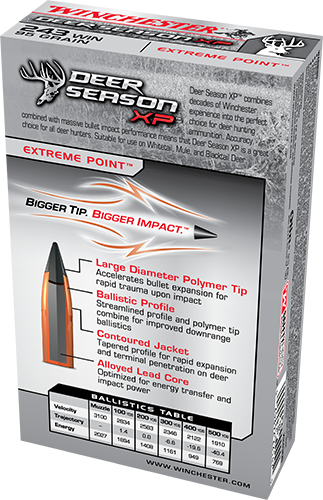 With a revolutionary Extreme Point tip, the Deer Season XP bullet expands on impact, delivering it's energy on the target immediately. This ammo is loaded in the U.S.A. utilizing only the finest powder, primers, projectiles, and brass in a effort to create a round that you can trust to put food on your table.